‘Interactivity’ is the name of the game when it comes to your government’s web presence. Guiding citizens in your town, village, or city, to the correct information or tools can be a difficult task. Web experiences have to cater to a VERY wide range of end-users, ranging from the iPhone illiterates to the estranged Androidians. My grandmother bookmarks websites on her home screen and thinks they are all apps. Meanwhile, my neighbor is writing his own mobile app that notifies gamers when new video games are about to be released. Then there’s me (a typical millennial) – the self-proclaimed “UI guy” who grew up using Hotmail and AIM. I remember dial-up, but only like a bad dream. I was always the lead Java developer in my Undergraduate group projects, but I’ve never built a mobile app from scratch. I have to Google “Unix commands” almost every time I need to actually use them, but I’ve also never paid a utility bill with an actual check. The point is, I need my city website to work for me, and my grandmother, and my nerdy neighbor. On the other side of the screen, there’s another persona – a “technical, but not a developer” type who wants to understand their users, who needs a portfolio-bulking project, and who works for my local government IT department. He/she knows graphic design and the English language better than Enterprise Architecture and C#. Now that we know who we’re dealing with, let’s make a deal. The task can seem daunting, but luckily for you (I assume you’re faced with this task, otherwise you wouldn’t be reading this) it’s 2016 and plenty of people in the world have already started doing the same thing and come up with some pretty damn good best practices for getting it done, Oracle being one of them. Oracle can host your development tools in the Cloud for you. You won’t have to pay for the hardware, the installation, or the maintenance of those tools. You’ll be able to quickly and easily scale your environment. You can focus on the project, rather than the infrastructure. Oracle RightNow Chat Cloud Service, agents can always guide your customers to the best answers and outcomes. Sessions can be initiated by a customer or proactively based on company-defined rules and triggers. Resolve issues with higher productivity, increase conversion rates and boost satisfaction. The end result of combining Oracle RightNow Chat Cloud Service with the DX Platform is a complete customer journey. Your solution will not only proactively engage citizens with a complete self-service website, but also allow your staff to quickly interact with citizens directly from the online service that they need assistance with. Intuitive design mixed with an online chat service will streamline the user experience, improve user satisfaction, and reduce operational costs of active call-centers. The Constellation ShortList presents vendors in different categories of the market relevant to early adopters. In addition, products included meet the threshold criteria for this category as determined by Constellation Research. This Constellation ShortList of vendors for a market category is compiled through conversations with early adopter clients, independent analysts, and briefings with vendors and partners. Enterprise file sharing and synchronization solutions allow individuals and teams to share and synchronize documents, photos, videos and other files across multiple devices in a secure manner. This category refers to people collaborating on and sharing business content in a distributed approach, allowing for real-time editing and file distribution as needed. The most advanced vendors enable developers to create business, content-centric, line-of-business applications that incorporate files as part of that process. “Source: Constellation Research, Inc., " Constellation Research ShortList for Enterprise File Sharing Suites", Alan Lepofsky, October 12, 2016". Oracle Documents Cloud Service was included in the Constellation Research ShortList for Enterprise File Sharing Suites. In today’s world, your employees need instant access to the content that drives your business. Whether they are at their desk, on the go, or working remotely, the ability to easily and securely access and collaborate on business content is one of the keys to being a nimble enterprise. Oracle Documents Cloud Service, an enterprise content collaboration solution with rich social features, gives you the file sync and share capabilities your employees need while providing the control and security your IT organization requires. All of the content can be accessed and collaborated on in context of business workflows, business applications and office productivity tools. Oracle Documents Cloud Service lets you easily store your business content in the cloud, securely access it from anywhere, and share it with your colleagues and partners in real time. With a fast, intuitive web interface and easy-to-use desktop and mobile applications, employees can view and collaborate on files even when offline, keeping your organization running efficiently and your employees staying productive from any location. Oracle Documents Cloud Service was pleased to be included in the Constellation Research ShortList for Enterprise File Sharing Suites. You can read the full report here. In this 9 step tutorial you will learn how to create a simple Oracle Sites Cloud Servcie (SCS) component that uses a <div> element with the “contenteditable" attribute enabled to allow end users to enter their own text in the page that will be saved with the component. It shows you how to convert the pre-defined files you get when you create a component into your own implementation. The intent is to describe what is required and what is optional within those seeded files. When you create a component you get a set of seeded files that will work out of the box. 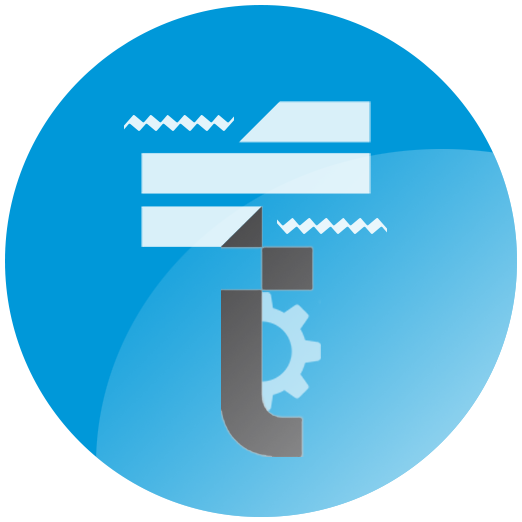 The seed code covers most of the functionality of a component within the product and the "Tutorial: Developing Components with Knockout" section in the SCS documentation explains how all the pieces of the components fit together. Note: This sample is simply aimed at explaining the various pieces that make up a generic SCS Custom Component. It should not be used "as is" as a production component. After this step you will have created your component with the Sites Cloud Service that you can immediately drop onto the page. This is the starting point for creating any new component. Create a new site using any seeded Template, for example create a site called “ComponentTest” using the “StarterTemplate" template. Select "Settings" from the drop-down menu. You can change setting to see how seeded component rendering will change. To continue reading and see steps 2-9, please click here! I think we can all agree that mobile is transforming every facet of modern society. Along with this powerful trend, Cloud is transforming every facet of the IT infrastructure. Companies are finding that with the changing digital landscape, our expectations have changed, not just as a consumer but as an employee too. The pervasiveness of digital technology and the convenience of it has permeated into our work world, making business users more technology savvy, expecting digital convenience in the workplace as well. As such, more and more users are relying on their mobile smartphones and tablets to continue working outside of the office. So, in a world where work is no longer dictated by location and spans not just geography but our ecosystem – employees, partners, suppliers and customers, as well as channels – web, mobile, social, how can you empower your users to drive effective mobile collaboration? With our brand new Oracle Documents Cloud Service mobile apps for iOS and Android mobile devices, you can perform pretty much all of the rich content collaboration functions you’d expect and more, right from the mobile apps. If you are an existing Oracle Documents Cloud Service user, you will find that all our client applications have had a user interface upgrade, where ease of navigation and contextual actions have been given highest priority. New users would find navigation and the intuitive interface refreshing. So, the new mobile apps allow you to fully interact with your content and ecosystem - driving a full-fledged communication platform. I will be doing a complete blog series so that, together, we can look at some of the key mobile collaboration and engagement features in detail. I will be sharing some quick tips on how to use key features of our apps that help drive effective mobile work. The objective of this series is to allow you to take full advantage of the advanced mobile features of Oracle Documents Cloud Series. In fact, if there are specific features or action where you'd like me to focus, please let me know via comments and I will be sure to add that to the series.Where possible, we have provided brief "How to" videos to offer visual guidance. The first key feature when you are dealing with content is being able to actually edit content anywhere at any time and on any device. And that is what I will focus the rest of today's post on. Install both the Microsoft Office 365 apps and Oracle Documents apps on your iPhone, iPad, or Android device, then log on to Office 365 and Oracle Documents Cloud Service, and you’re ready to go. Use it anywhere. The key design feature we focused on here is - familiarity. You will find accessing content on Documents Cloud fairly intuitive and familiar to your mobile habits - swiping to navigate and tapping to open folders and files. The app guides you through what to do. Editing a file stored in Oracle Documents is easy. Launch a Microsoft Office 365 app such as Word, tap on ‘Open’ and from there you can access multiple locations by tapping on ‘… More’, and then ‘Locations’ and Oracle Document is listed as an available location (if this is the first time, you may need to tap on ‘More’ to enable Oracle Documents as a supported location to store files, from this same screen you can drag Oracle Documents to the top of the list so it appears as the first location). After tapping on Oracle Documents, you can pick the Oracle Documents account you wish to access and browse through all your folders find the file you wish to edit. Your file will open in Word and you can begin editing. By default, the Mobile Office 365 apps uses "Auto Save" so all your changes will be saved back to Oracle Documents automatically. You can also start working on brand new documents in any of the Mobile Office 365 apps and use the "Save As" feature. 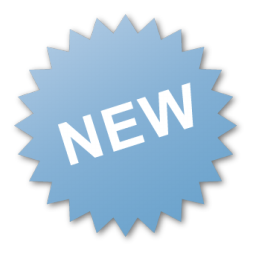 The same locations accessible through "… More" when you did the Open can also be accessed when you are doing a Save so it is easy to pick a folder in Oracle Documents to store your new creation. If you are an Android user, both Mobile Office 365 on Android and Oracle Documents Cloud Service support the Android Storage Access Framework which allows for the same type of editing flows. You can always find the Oracle Documents Cloud Service mobile apps in the App stores. For those who don't have Oracle Documents Cloud Service as yet, a free trial is available from cloud.oracle.com/documents to get you started. Hope you found this useful, next time I will cover how easy it is to review videos and audio files. You’ll often hear people say that effective collaboration starts with effective communication. Unfortunately, the most common way for enterprise people to communicate is through traditional email, which is far from effective. Email works well for simple communication, but not for lengthy discussions, and certainly not for group collaboration. That’s not to say email is bad or that it’s going away, but it does mean that enterprise workers are looking for a more effective way to collaborate without relying solely on email. So, within Oracle Documents Cloud Service, we introduced our solution to the collaboration problem. By providing social collaboration features built directly into our powerful content platform, we’re providing the tools for people to collaborate and communicate more effectively without ever leaving the context of their collaboration, both within our application and in the sites and experiences that people build using our tools. The first time you view a document in our application, whether in our Web client or in our mobile applications, you’ll notice the presence of a conversation icon. That lets you start a new conversation in the context of that document. Everyone who can collaborate on that document can also collaborate in the conversation. You can add annotations, post messages, reply to messages, and like people’s posts. When you want to draw someone’s attention to a specific post, you can flag that person on a message and a notification will get sent to them either by email, mobile notification, or as a desktop pop-up alert. As people start to collaborate with you in conversations, you’ll want to see where those posts are being made and where people are collaborating with you. From the left-hand navigation pane, you can click on the “Conversations” tab to show you your list of conversations. That will include conversations related to files and folders, as well as stand-alone conversations and one-on-one conversations you may have with another person. There is an icon on each conversation to show the number of unread messages in that conversation, so you can see where you might need to catch up. And it’s possible to expand each row (or all rows, if you want) to show the most recent post that was made to a conversation. Because the list is sorted by recent activity, you can see new posts as they are posted, in real-time. One common problem that people face is not knowing when there is an important update on one of their conversations when they’re not active in the user interface. You can configure to receive email notifications but, as I mentioned earlier, email isn’t always the best way to collaborate. However, people who have Oracle Documents Cloud Desktop Sync Client installed will receive pop-up alerts on their desktop for important activity taking place in their folders and files in Documents Cloud Service. Each person can configure what types of activity will trigger pop-up alerts. For example, you can get pop-up alerts for all the posts to all your favorite conversations or only get notifications for urgent flags that require a reply. With our mobile-first strategy, our social features are completely integrated with our content features on all the platforms we support. That means you can collaborate anywhere and anytime, even when you’re not in the office or not sitting at your desktop. Oracle Documents Cloud Service apps are available off of the Apple App Store and Google Play today. Of course, what we’re offering is more than just a set of social features; our social capabilities are part of a broader social platform that people can use to build their own custom sites and experiences. Our social features and UI are fully embeddable in sites and applications that people build themselves and the full set of social capabilities are also exposed in our REST APIs. Don’t have Oracle Documents Cloud Service yet? Then, I highly recommend getting started with a free trial version available at cloud.oracle.com/documents to see how you can now drive content and social collaboration anytime, anywhere and on any device. Protecting sensitive data is extremely important for your organization. The release of public records, data breaches, and simple sharing between parties can cause unnecessary distress and costs when names, addresses, credit card numbers, etc. become public. Personally Identifiable Information, or PII, is any data that could potentially enable identification of a specific individual. Identifying this data is invariably important to protect your company, your employees, and your clients. With a single disclosure breach reaching an estimated cost as high as seven million dollars ($7m) and affecting all manner of agencies, corporations, and hospitals across the globe every year, why not instead spend your resources on preemptive and preventative measures? TEAM's Redaction Engine utilizes multiple technologies to scan for and identify sensitive data already in your WebCenter Content repository, and newly scanned or checked-in documents. 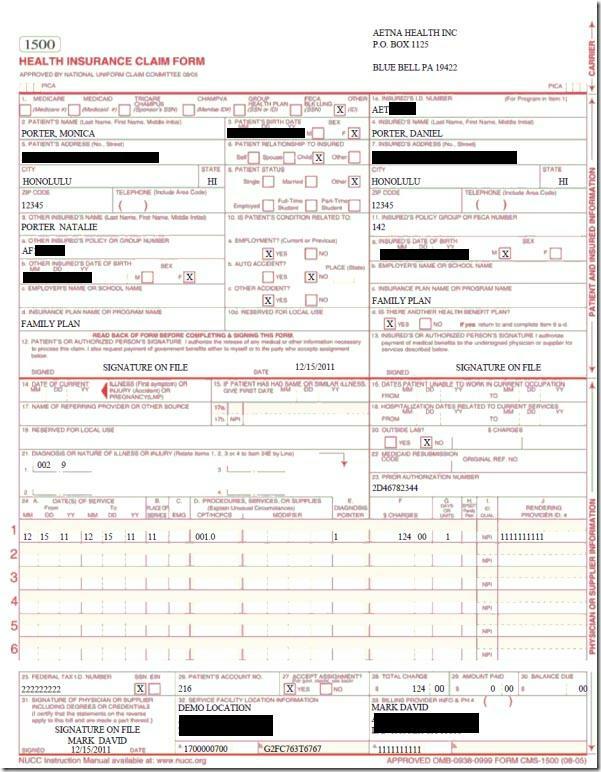 The engine then automatically redacts that information in subsequently generated PDFs. Watch this video to learn more and join us for the webinar for a live demonstration for latest features and to answer any questions you may have. Even if you attended all 5 days of Oracle OpenWorld 2016 this past week, there was WAY more content and goings on over the span of 5 days than one could possibly hope to keep track of. But if we had to sum it all up in one word for our customers and partners, it would be "Cloud". We want to sincerely thank everyone who attended and supported us before, during and after the event. We look forward to continuing to work together to expand on our Content and Experience Management solutions. Here are some photos to recap the week! I am from New York and Macy’s is a staple brand for me. We can all recognize that red star anywhere we see it, we can picture their showrooms, the store’s brand displays, the floor upon floor of fashion clothing, accessories, home and beauty products. All of use, especially us New Yorkers enjoy and are well versed with Macy’s Fireworks and their world-famous Thanksgiving Parade. For a brand to evoke such strong associations and positive recognition, clearly they must be doing something right in marketing (and customer service too)! Rebecca Li, Senior Manager, Macy's China Ltd.
As a marketer, you recognize the big challenge in managing digital assets for multiple channels for customer facing platform. From content creation, collaboration to review and approvals to multi-channel content publication and delivery. Learn how Oracle Digital Asset Management is looking to solve these and such marketer’s challenges. And hear from Macy’s China leadership on how Macy’s leverages technology to stay ahead of the competition and drive brand leadership and marketing results. Macy’s focuses its efforts on customer satisfaction and it starts even before you become their customer. Learn how Macy’s marketing strategy starts with content creation using digital technologies and goes all the way to publication and delivery. Tweet along with #OracleDX and #OOW16 and share your thoughts, lessons and experiences too. Well here we are at day 3 already of Oracle OpenWorld, and we’ve heard some pretty exciting announcements this week! Larry Ellison kicked off Sunday's keynote by showcasing industry-first cloud innovations and announcing our release of Oracle's second generation Infrastructure as a Service (IaaS) data centers. Ellison introduced Oracle Database 12c Release 2, as well as more than 20 new Oracle Cloud Platform and Application services that extend choice and access for customers and partners globally. Industry-first innovations highlighted include a new Database as a Service (DBaaS) that is orders of magnitudes faster and more scalable than other Cloud database services and new Adaptive Intelligence Applications that use machine learning to power the next generation of Cloud applications. Monday brought a full day of sessions covering our strategy & vision for our Content and Experience Management solutions, as well as a general session where Inderjeet Singh, EVP, Fusion Middleware Development, Oracle, showed the capabilities of Oracle’s middleware platform-as-a-service solutions for cloud-native application development, API management, data and enterprise integration, the Internet of Things, big data, machine learning, data visualization, and mobile ChatBots. He showcased how to easily move existing Oracle and non-Oracle workloads to the cloud; how to extend and integrate on-premises and software-as-a-service applications; and how to build API-first, mobile-fronted applications with portability across public and on-premises clouds. The Oracle Mobile Challenge has been a huge hit this week! While attendees have been going to sessions, visiting vendors in the exhibit hall (Moscone South) and networking with experts, they've been able to add in some fun and some have won some great prizes! Throughout the week, Samsung has given away Galaxy smartphones, 360 Gear VR Cameras, and Gear VR Goggles! There is still time for you to play, as today will be the last day to participate (although we still hope you attend sessions and visit with us tomorrow). Here you can see who Monday's winners were! As we approach the last 2 days of OpenWorld, we hope you have had a great start to your week and look forward to meeting with you and talking further! Be sure to join in on the conversations! Here we are at day 2 of Oracle OpenWorld and we want to be sure you don't miss this session tomorrow with Cox Communications and Oracle Partner Fishbowl Solutions! We'll have a recap of the last few days tomorrow up on the blog. The promise of a digital workplace, one where employees from any location can connect with others, access applications, and find job-related information, has been a major reason why organizations have turned to enterprise portals. However, portals sometimes fail to fulfill on that promise and miss expectations because technology and features receive the focus instead of what users need from the portal. If you would like to hear directly from Cox Enterprises on the process they went through to realize their portal vision with Oracle WebCenter, make plans to attend this session: Cox Enterprises Reimagines Digital Workplace with Oracle WebCenter, which takes place on Wednesday, September 21st at the Marriott Marquis - Golden Gate C3. In this session, you will hear from Dave Longacre (senior management application integration) and Christine Chen (senior product manager) as they detail how the company’s initiative for a digital workplace has started to come together with WebCenter. Christine and Dave will share Cox’s overall vision for their digital workplace, how portal technology is used to integrate their collaboration and identity management systems, as well as the various activities that had to take place – from portal design and user journey mapping to content and collaboration integration – to achieve their objectives. Fishbowl Solutions is privileged to be the WebCenter partner involved with Cox’s project, and Ben Evjen of Fishbowl will also participate in the presentation and provide more technical detail regarding constructing the portal for Cox’s digital workplace use case. We hope you will be able to join us. Once you have picked up your badges and as you are thinking of which direction to head in, remember you have the https://sites.oracle.com/oowdx/ handy on your mobile browser to keep a pulse on what’s happening and where. The site is also handy in getting a good glimpse on what’s coming up next! Ready for Oracle OpenWorld 2016? The conference is ready for you too! As you make your way to Moscone Center this coming week, we wanted to (first of all) thank you for tuning in. Over the last few weeks (months, really! ), we have done our best efforts to give you a preview of what awaits you at Oracle OpenWorld in terms of key sessions, demos and showcases, hands-on-labs, resources, et al. In fact, in our concerted effort to help you hone in on your areas of interest, we even created from scratch a brand new website – Oracle Content and Experience Management at OOW16. The site built using our very own solutions, Oracle Sites Cloud Service and Oracle Documents Cloud Services, was built in all of 3 days but is the one stop shop for all things Digital Experience that we have planned for you at Oracle OpenWorld. Keep https://sites.oracle.com/oowdx/ handy on your mobile web browser. Not only does it have all the information you would need to traverse through Digital Experience sessions and activities, it will give you up to date information on what’s coming up and where. Handy, don’t you think? Make use of the My Schedule app on your mobile device. If you haven’t added the session you are looking to check out, please do so on My Schedule before you get to the conference. This post on must-attend sessions could be a helpful starting point. Tweet along and we would tweet with you! See you at #OOW16 soon! We can't believe that OpenWorld is just days away. As you can tell from the past month, we've been working hard on getting sessions, demos, hands on labs and a slough of various other things ready in preparation for the event. We are excited to see familiar faces next week and meet new contacts as well! We wanted to highlight some of the "must add" things to your agenda. Don’t miss the Strategy and Vision sessions for the overall Content and Experience Management portfolio and each of the respective solution and cloud technologies. Attendees will also get an opportunity to hear from customer organizations on implementation successes. My Schedule is available for Oracle OpenWorld! Customer and partner attendees can use My Schedule to plan and optimize their time during the conferences by building personalized conference schedules beforehand. We recommend adding the sessions mentioned above and the others of interest from the Focus on Documents listed above. The #OOW16 Mobile Experience will include an interactive, Pokémon Go-styled, mobile app that was built using Oracle Mobile Cloud Service, through which you can win prizes. More details can be found here! We will be highlighting our key sessions and other important information on the Oracle DX blog periodically. In addition, please use the following hashtags to discuss OOW on your respective channels! And we are asking you to please follow along and join the conversations on our social media channels. We are looking forward to a successful #OOW16! Mobile is transforming every facet of modern society. As a result, companies are finding that with the changing digital landscape, user’s expectations have changed, not just as a consumers but as employees too. The pervasiveness of digital technology and the convenience of it has permeated into our work world making line of business users more technology savvy, expecting digital convenience in the workplace as well. Along with this powerful trend Cloud is transforming every facet of the IT infrastructure so in a world where work is no longer dictated by location and spans not just geography but our ecosystem – employees, partners, suppliers and customers, as well as channels – web, mobile, social, how can you empower your users to drive effective mobile collaboration? At Oracle OpenWorld this year, Oracle executive and the product management lead for Oracle solutions for Digital Experience, David le Strat, would be discussing mobile collaboration in his overarching product strategy session on Monday, September 19 at 11 a.m. in Moscone W 2014. Learn more about his session here. From there, in this session, we will get into the detail roadmap and strategy on how we are focusing on empowering our millennial, mobile workforce with our content management and experience management solutions. We’ll discuss how the Oracle Content and Experience Cloud can help companies empower their mobile workforce. Learn how Oracle Documents Cloud Service and Oracle Sites Cloud Service are providing you with a single platform to drive mobile content collaboration. We’ll be covering how our mobile features allow workers to carry out effective mobile collaboration and design mobile optimized experiences. The session will also cover our longer term roadmap and vison where our focus is on being a best-in-class Mobile App for all things related to Content Collaboration – ease of access, edit & review workflow and messaging. You will also hear from one of our partners, Jason Stortz, Principal Consultant, from Redstone Content Solution who have been busy further extending the mobile collaborative capabilities of the Oracle Content and Experience Cloud. They will show you how to secure signatures on a contract right from your mobile device and discuss how they can help you build mobile optimized experiences using the Oracle Content and Experience Cloud. And catch the live demos of the solution and engage with us on solution, roadmap, use cases discussions - this is your opportunity to connect with us and get your questions answered live. For a complete listing of all things Digital Experience don’t miss our recently launched website, https://sites.oracle.com/oowdx/, Btw, the site is built on Oracle Sites Cloud Service with Oracle Documents Cloud Service as its underlying content repository! Works great on mobile devices as well! And join the conversation on twitter using #OOW16 and #OracleDX. Tweet along and you will see your tweets show up on the site too! See you at OOW16 then! HelloSign Now Integrates With Oracle Documents Cloud! Just in time for Oracle OpenWorld, we recently announced that HelloSign now integrates with Oracle Documents Cloud! You can integrate HelloSign with Oracle Documents Cloud to request signatures for your contracts, agreements, and waivers. You can check the signature status in real time, and the signed document is automatically saved in Documents Cloud for easy access. Want to learn more? Check out this blog post to learn how you can have a paperless future with Oracle Documents Cloud. Heading to Oracle OpenWorld? Be sure to add this session to My Schedule so you can see a demonstration and learn how you can now access important documents and agreements from the Documents Cloud interface and send them out for signature with a few clicks. For a complete listing of all things Digital Experience don’t miss our recently launched #OOW16 website: Content and Experience at Oracle Open World 2016. Enterprise content is a core component of any organization’s infrastructure. As an Oracle WebCenter customer or a stakeholder you know that Oracle WebCenter Content is a proven unified repository to house unstructured content, enabling organizations to deliver it to business users in the proper format and within the context of familiar applications that fit the way they work. Its document imaging and capture product capabilities provide a streamlined platform for business solutions, leveraging image enablement, application extension, and long-term archiving. Tuesday, September 20, 2016 | 4:00 p.m. – 4:45 p.m.
Get a complete 360-degree view of the Oracle WebCenter Content product portfolio roadmap, covering content, imaging, capture, and forms recognition and hear directly from the subject matter experts. Learn about the latest releases and product roadmap plans to see how you can leverage those to influence your enterprise strategy. Find out about key application, process and productivity suite integration that can help you drive work agility. You will have a unique opportunity to hear from a customer organization, McKesson on how they use Oracle WebCenter Imaging product line to help automate their account payables and ordering processes. This session also provides a great opportunity for you to learn from your peers, hear from experts and get your questions answered about Oracle enterprise content management & imaging suite of products. And, get all the latest info on all things Content and Experience at #OOW16 directly on your mobile devices from https://sites.oracle.com/oowdx. While there, check out Oracle Mobile Challenge! You may even get “rewarded” to attend this session!!! And use #OOW16 and #OracleDX to tweet about your session experiences. See you there! Why Should You Attend #OOW16 Session: WebCenter Digital Experience: Sites & Portal Strategy and Roadmap [CON7260]? The Oracle WebCenter Digital Experience suite consists of Oracle WebCenter Sites for Web Content Management & Oracle WebCenter Portal. These products enable customers to address management and delivery of Digital Experiences for marketing and self-service use cases. This session will cover the vision and roadmap of both products including cloud deployment options, integrations with other PaaS and SaaS services to extend the capabilitity set, including Oracle Marketing Cloud and Oracle Process Cloud Service, in addition to core platform updates. The beauty of the Oracle WebCenter Digital Experience suite is flexibility. We offer WebCenter Sites and WebCenter Portal customers flexibility through a variety of deployment models – pure on-premise, WebCenter Sites and WebCenter Portal hosted in Oracle’s cloud, integration with PaaS and SaaS and most importantly WebCenter Portal Cloud Service. I’ll touch on a couple of these deployment models briefly, but you’ll definitely want to attend the session to learn more! 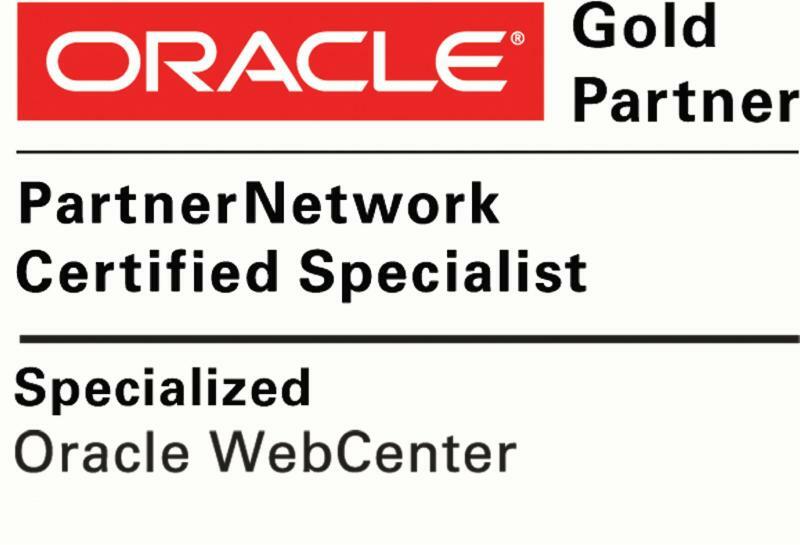 Certified deployment on the Oracle Cloud means customers have a certified installation of Oracle WebCenter Sites on Oracle Java Cloud Service (JCS). This allows you to take advantage of JCS infrastructure such as automated Database and Domain backup and restore, and use JCS-based WebCenter Sites to develop, test, and deliver websites. This seamless experience for developing and maintaining websites across on-premises and the cloud gives customers the flexibility and management they desire. The WebCenter Portal Cloud Service offers quick provisioning to enterprise software. Subscription pricing enables customers to scale in/out based on the needs of their organizations. WebCenter Portal Cloud Service helps customers to focus on applications and service delivery and Oracle handles the hosting and technical support of your virtualized hardware environment. You can leverage JCS tools to cluster/backup/restore/update JCS and WebCenter Portal Cloud Service also integrates into other Cloud SaaS/PaaS apps. What are the benefits to you? Reduction in IT infrastructure and management cost and the subscription pricing give customers flexibility to scale based on their needs. We’ll also be joined by Valbona LaChapelle, Director, Online Technology at TIAA-CREF as she shares her company’s implementation of WebCenter and how TIAA-CREF is approaching moving more of their deployment to cloud. Existing WebCenter and on-premise web content management system stakeholders may particularly find this use case insightful. For a complete listing of all things Digital Experience don’t miss our recently launched website, Content and Experience at Oracle OpenWorld 2016. This site is built on Oracle Sites Cloud Service with Oracle Documents Cloud Service as its underlying content repository and is your one stop shop for everything related to Content and Experience Management at #OOW16! Btw, the site is built on Oracle Sites Cloud Service with Oracle Documents Cloud Service as its underlying content repository! If you're attending Oracle OpenWorld next week, you won't want to miss these customer sessions! There is no better way to learn how Oracle's Content and Experience Management solutions could help in your organizations than hearing from your peers. We've got 9 sessions dedicated around Content Management, Digital Experience and Digital Experience Solutions that our customers and partners will be presenting in at #OOW16 this year. We hope you'll join us! Uses Oracle Documents Cloud Services to store customer documents used in the credit request process, managed by WebCenter Content. Uses the WebCenter Content & Imaging product line to integrate and automate AP invoice processing with their JD Edwards ERP system. Is implementing a new Oracle Compute Cloud based deployment of WebCenter Portal & Content for a transformational Portal project. Uses WebCenter Sites and how they are approaching moving more of their deployment to the cloud. Uses a Marketing platform-based on Oracle PaaS & WebCenter to digitally, collaboratively, and visually manage campaigns, and assess cost and ROI. Uses the Oracle Digital Asset Management solution to manage digital assets across multiple channels and improves collaboration. Uses Oracle solutions to empower employees with meaningful collaboration, continuous enablement and effective customer engagement. Uses WebCenter Portal to provide a gateway to knowledge resources and collaboration. Created a “one-stop shop” for information and single employee experience. Prodvides an integration with Oracle Documents Cloud Service for e-signatures and collaboration with no printing invovled. We recommend you add these sessions to your OpenWorld My Schedule to save your seat and plan and optimize your time during the conference by building personalized conference schedules beforehand. For a complete listing of all things Digital Experience don’t miss our recently launched website, Content and Experience at Oracle Open World 2016. So, get to our recently launched website at https://sites.oracle.com/oowdx (powered by Oracle Sites Cloud Service and Oracle Documents Cloud Service) , get information on sessions, download the Oracle Mobile Challenge app and plan your mobile challenge strategy! Who says you can’t learn and play at the same time? See you at #OOW16! #OOW16 - Why You Should Attend: Content Management in the Cloud: Strategy & Roadmap (CON7527)? In a world where work is no longer dictated by location and spans not just geography but our ecosystem – employees, partners, suppliers and customers, as well as channels – web, mobile, social, how do you drive effective work collaboration and rapid decision making? How do you optimize the complete content management lifecycle – from collaboration around content creation especially on mobile, content upkeep to omni-channel content delivery and drive analytics around content usage and interaction? You will hear about Oracle’s strategy, roadmap and vision on how to drive an integrated content management experience in the Cloud. In an always-on world, learn how you can stay connected and collaborate real time, even on mobile devices. Find out how mobile collaboration should go beyond file sync and share and drive social-based engagement. You will hear about a content strategy that doesn’t create content silos but bridges the gap between your existing content management system and your ecosystem. Previous generations of content management were tightly coupled to a specific channel. For instance, Web Content Management Systems were meant only to support the Web. Learn how Oracle’s flagship cloud solution for content and social collaboration, Oracle Documents Cloud Service is providing you a single platform to drive content across the different channels and in context of your applications. Hear first-hand about the product innovations being delivered to simplify work and decision making processes, drive social and mobile engagement, and deliver application extensions. Organizations using Oracle Marketing Cloud, Oracle Service Cloud, Oracle Sales Cloud or those using on-premises applications like Oracle JD Edwards and Siebel would benefit from learning about the integration use case between the applications and Oracle Documents Cloud Service. And, don’t miss the live mobile demos of the solution that showcase real-life use cases to leverage in your organization. Product experts will be at hand to answer your questions and discuss best practices. And most importantly, join this session to hear from one of your peers, Edi Nilson Piovezani, Director Infrastructure, from Omni Financiera in Brazil who would be sharing his content management journey to the Cloud. Omni uses Oracle Documents Cloud Services to store customer documents used in the credit request process, managed by WebCenter Content. A customized portal allows the 10,000 credit agents easily submit the documents for credit analysis. Existing WebCenter and on-premise content management system stakeholders may particularly find this use case insightful.